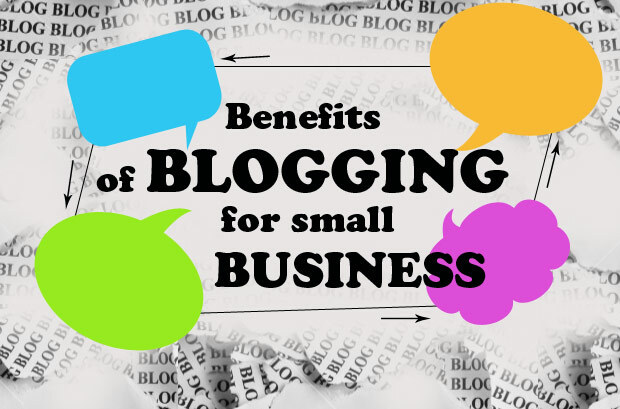 A company blog can be a useful tool for small businesses that hope to give others a glimpse into the company as well as promoting the company’s products and services. It’s another way you can provide information and resources to your existing and potential customers without spamming them with unnecessary promotional messages. When you [p2p type=”slug” value=”what-you-need-to-know-about-responsive-web-design”]design[/p2p] or update your company blog, pay attention to what these companies are doing right and use it as a guide to help improve your own blogging activities. Here are four examples of small businesses that use a blog to reach their local communities to showcase their experience and expertise. Cure Thrift Shop wants to showcase their products with visual creativity. The shop is a non-profit located in New York City, ant they donate 100% of their proceeds to the Diabetes Research Institute. The company focuses completely on philanthropic endeavors, and sets a great example for other retailers who want to create their own successful blogs. Several times each day, The Cure staffers update their company blog adding creative pictures of any new furniture arrivals, antiques, fashion inspirations or sale alerts. The shop hosts its blog on Tumblr, which is known to foster a community that appreciates artistic photography. Their quirky photos of numerous one-of-a-kind objects fits right into Tumblr’s unique mix while they also let followers know what’s new at the shop. Small business owners normally have a good amount of expertise they can share with the world. This is where a blog can come in and be a wonderful place for you to show off that pent-up knowledge. The folks at The Brooklyn Kitchen, located in Brooklyn, New York, understand the virtue of nicely produced videos. The team creates how-to cooking videos for its fans, whether showing viewers how to shuck oysters or the essentials of cleaning a blade grinder, the store’s crew focuses on providing high-quality video advertising with useful and targeted information. An example of one of their videos involves how to saber a champagne bottle. Co-owner Harry Rosenblum shows us his unique method to absolute perfection, demonstrating the type of how-to that you could only expect from such a group of passionate food enthusiasts. Of course, readers value this type of expertise, even more so when they feel that they can’t find it anywhere else. Based on that idea, the Sweetgreen founders are dedicated to making a positive difference in each of their communities. The Sweetgreen blog features all the community activities the company sponsors and takes part in, as well as the usual day-to-day activities of running their restaurants. During the year, you’ll find the Sweetgreen team throwing music festivals, or hosting nutrition classes at local schools or even concocting seasonal salads on the fly for their audience. The Sweetgreen blog is the central place where ever one of their company activities can be followed. The blog team continues to maintain a great balance between product-driven updates and community-focused posts. Birchbox is a start-up subscription service that enables customers to look over beauty products and sample them before buying. Updates to their blog are done several times a day refreshing their readers with the latest up-to-date beauty and health tips. To make sure their content stays fresh, Birchbox editors will bring in guest bloggers from many or the top beauty and health companies to share their recommendations. Creating a guest blogger program is their way of diversifying content by bringing in writers who have experience and perspective in different and specialized areas the company’s bloggers might not have covered. Inviting guest writers to blog on your site is a good way to expand into content areas where your company isn’t normally quite as focused. For example, if your company hosts a cooking blog, but would like to add some tasty cocktail dishes, consider inviting a mixologist to help you kick off the venture. Because [p2p type=”slug” value=”successful-seo-tips-small-businesses”]small business[/p2p] blogs usually service just their local communities, trying to find their blogs on the world-wide-web may be difficult. These are but four wonderful, locally-run blogs that are excelling with what they do in unique and creative ways. Perhaps your company blog may find a thread of interest in one or more of these to add some uniqueness and special flavour, and possibly be the KEY to your blog’s success in both the near future and beyond.